A constantly changing standard is no real standard at all. Lewis Isreal, ICA, James Saunders-Bey and 1 other person likes this. Love a Merle Pit Bull today. Merle Masters created a listing. My name is Merle Master's Rowdytown. 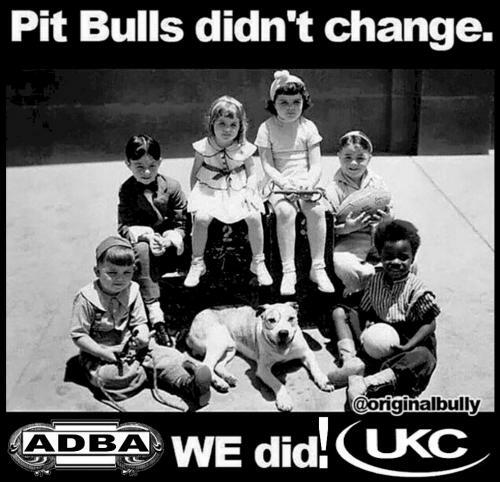 I am a beautifl purebred black and white Pit Bull with fantastic pedigree that stretches 20 generations. My name is Merle Master's Tonkawa. I am a beautifl purebred black and white Pit Bull with fantastic pedigree that stretches 20 generations. My name is Merle Master's TNT. I am a beautifl purebred black and white Pit Bull with fantastic pedigree that stretches 20 generations. My name is Merle Master's Storytime. 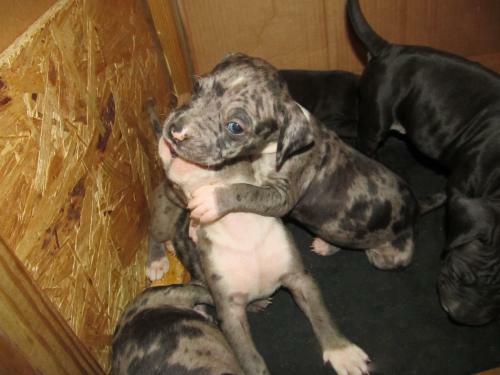 I am a stunning purebred Merle Pit Bull with fantastic pedigree that stretches 20 generations. My name is Merle Master's Showtime. I am a stunning purebred Merle Pit Bull with fantastic pedigree that stretches 20 generations. Thanks, Janel. They are fantastic little pups. I do deliver also. If you want me to add you to my notice list I can let you know if/when I breed again. Just need your email. Private message me though so it is not out there for the world to see.